Staging an empty house is a far better idea than listing the home for sale and showing it to potential buyers while it is completely vacant and devoid of all furnishings and fittings. It is a common myth and misconception that an empty house appears larger and open to design, whereas in reality, the space comes off as sterile, small and disproportionate. Statistics demonstrate that home staging increases the likelihood of selling an empty home, as well as bringing in a larger final offer price. This dialog provides expert instruction on enhancing properties that are not currently furnished in any way. 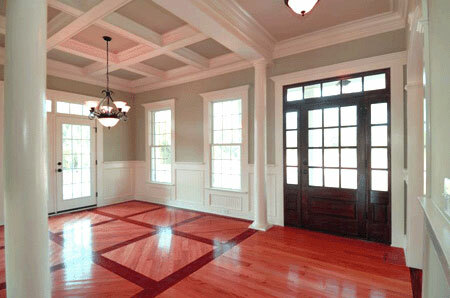 Empty properties are devoid of a present owner’s style, so they do not need to be depersonalized. However, that is the only advantage of a vacant home. Empty houses and apartments can be confusing to potential buyers, since the function and usefulness of every space is not defined. Additionally, empty spaces lack a sense of relative proportion, making buyers guess at what will actually fit inside the room. This is especially evident in small sized rooms. Finally, without any furniture or art in the space, buyers will have nothing to look at, except the flaws in the home, which they will surely dwell upon longer than they would if the house were wonderfully staged. 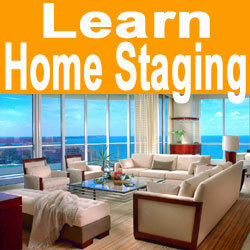 Staging a vacant home is actually far easier than staging a home which is a current lived-in residence. First off, there are no items to move or remove. This facilitates easy painting and repairs. Also, being that there is no mess, decluttering and organizing are non-issues. All that is left to do is plan the décor of the space and implement easy home staging designs to make the best use of the rooms and highlight the positive attributes of the property. Being that the home is empty, a stager or even a confident DIYer, can bring in the minimum amount of furnishings which will fill the space with character, without spending too much time or money in the process. Never list an empty home for sale. 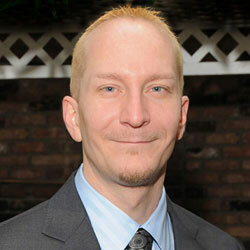 You are guaranteed to disappoint buyers and will wind up with a far lower selling price. Spending some time, effort and money on home staging will pay huge dividends by creating the ideal atmosphere for a faster and more profitable sale of your real estate. How you choose to stage is completely up to you. Hiring a professional home stager is just one option, while DIY real estate staging is at the opposite end of the spectrum. Maybe you will do what many sellers do, by bringing in a property staging consultant to guide you in setting up a perfect checklist of decorating ideas and then saving lots of cash by doing the work yourself. Whichever path you choose, the benefits of staging will become ever more obvious once you begin to entertain offers from a plethora of interested buyers.